The Bridge 2017 is first and foremost the celebration of a unique centennial. To understand it, one must go back to June 26th, 1917, the day when the first troop of 14,750 American soldiers landed in Saint-Nazaire. As allies, 2 million American soldiers fought alongside France in defense of the same ideals of liberty and fraternity. On the centennial of this landing, The Bridge 2017 will celebrate a century of exchanges and cultural legacies between both countries. This is an ambitious program aimed at revisiting a hundred years of American influence on sports and music. The first one is none other than the Queen Mary 2! 345 meters long and weighing over 75,000 tons, it is the last true transatlantic ocean liner! Its cabins, the spa, the concert halls and the promenade decks all forged the reputation of excellence of this cruise liner, taking about 3,000 passengers on an unforgettable centennial trip. The Queen Mary 2 will be challenged by the largest trimarans in the world. 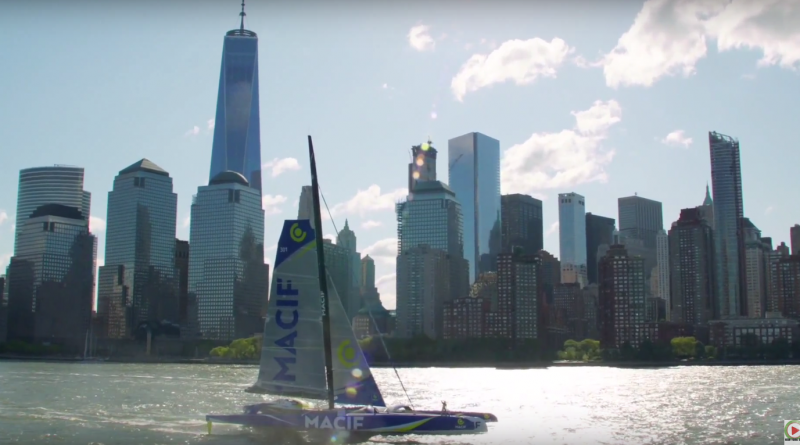 These multihull ships are the fastest and most powerful within the ocean racing world.